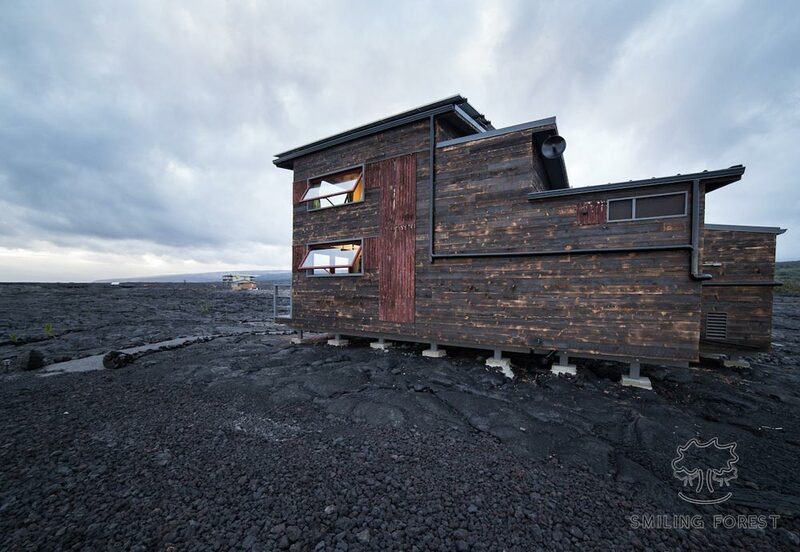 Rising from the ashes of the Kalapana lava flow is the Phoenix House by ArtisTree. 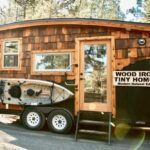 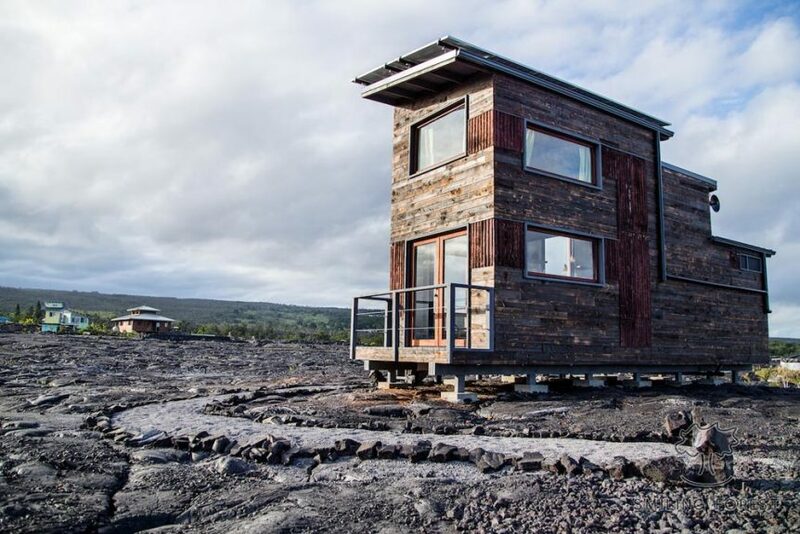 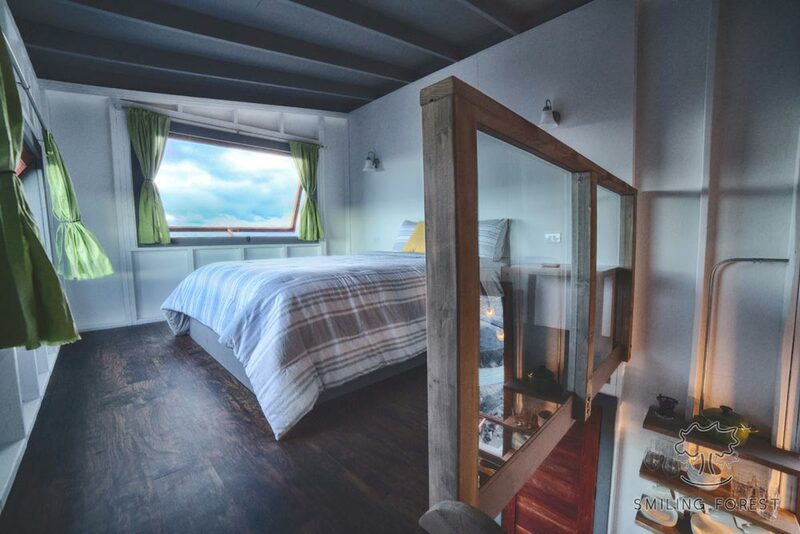 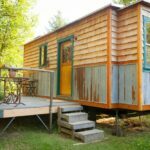 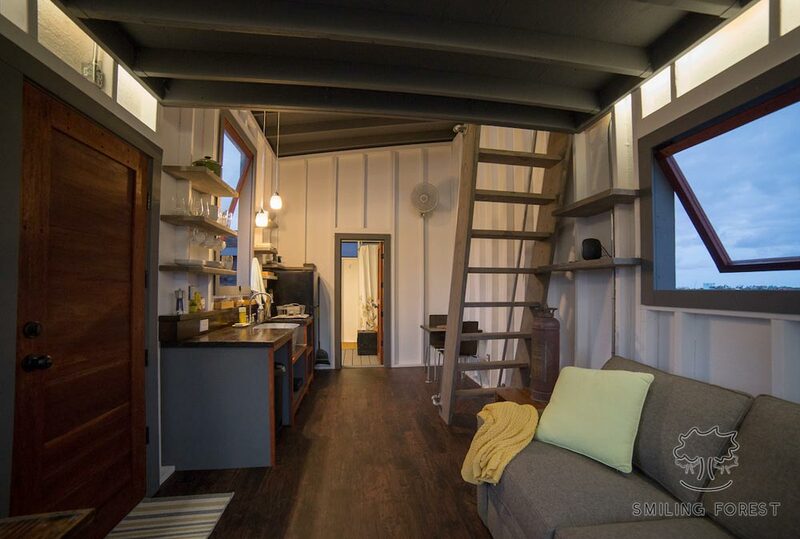 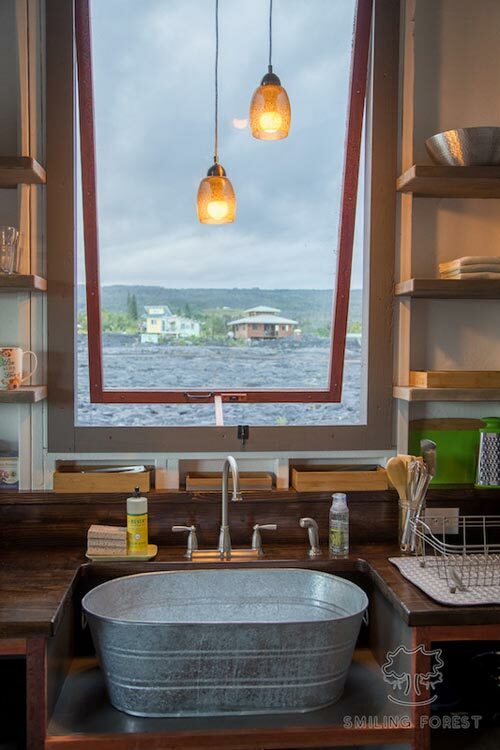 This 450-square-foot tiny house was built atop the lava flows of the Kilauea volcano and is completely off-grid. 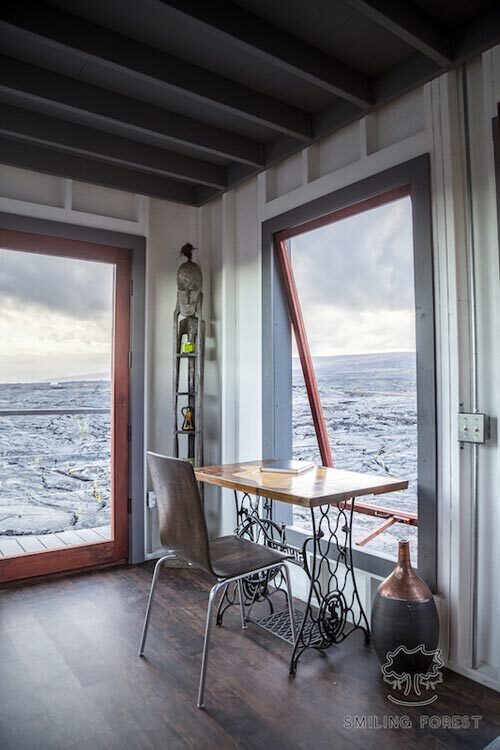 The Phoenix House is available for nightly rental through Airbnb, so you can experience this otherworldly location for yourself! 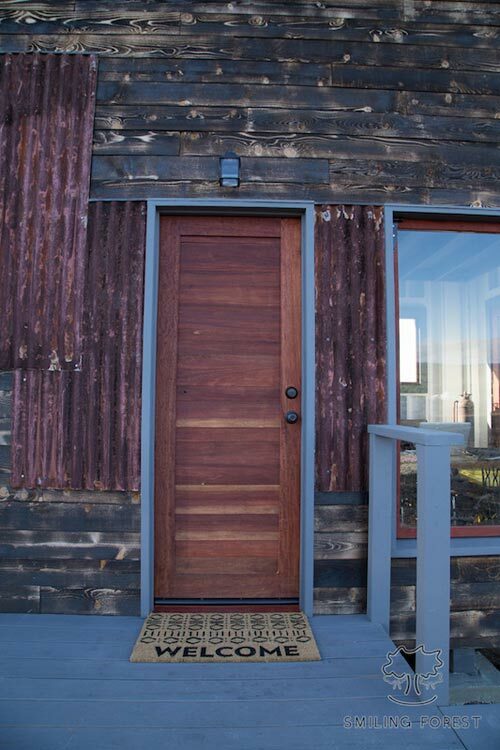 Its Sho Sugi Ban cedar siding and recycled corrugated iron blend the Phoenix into its surroundings. 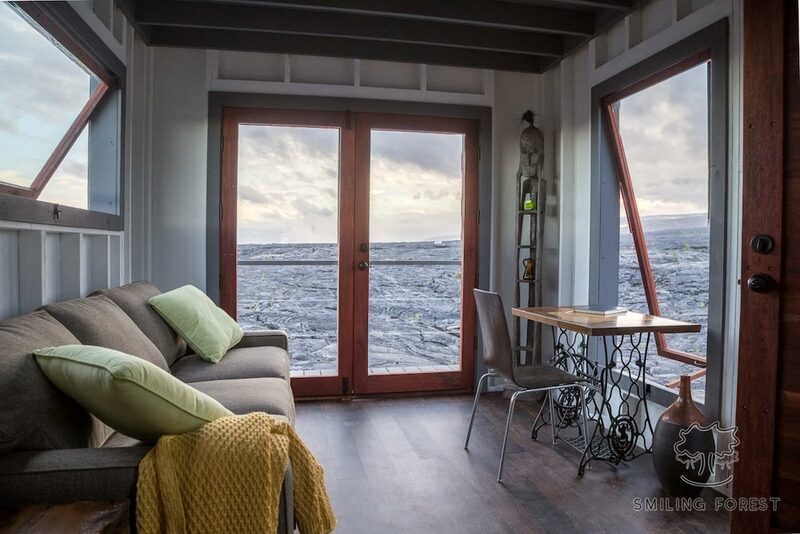 Double full light french doors and large windows provide an incredible view of the unique location. 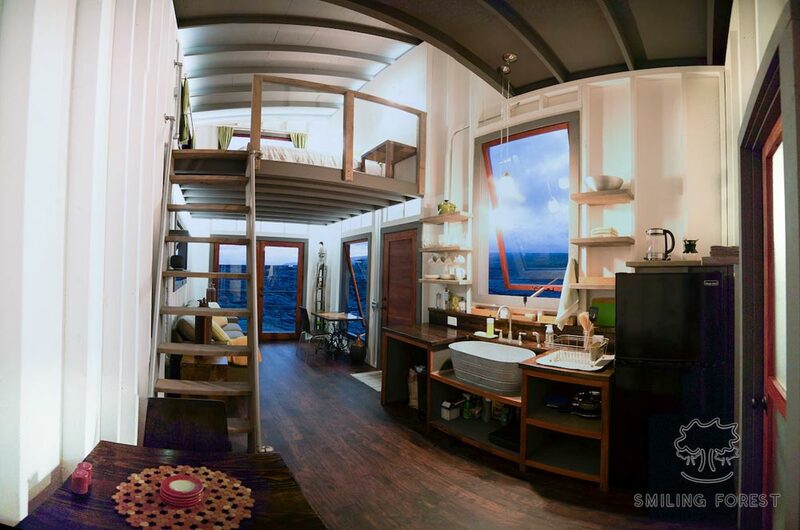 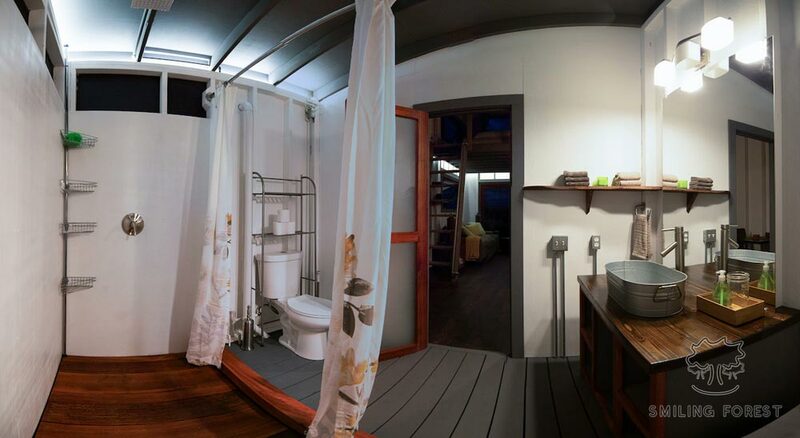 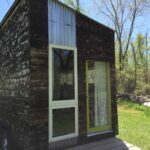 The tiny house is powered by a solar array and has a rainwater catchment system with a 5,100-gallon water tank. 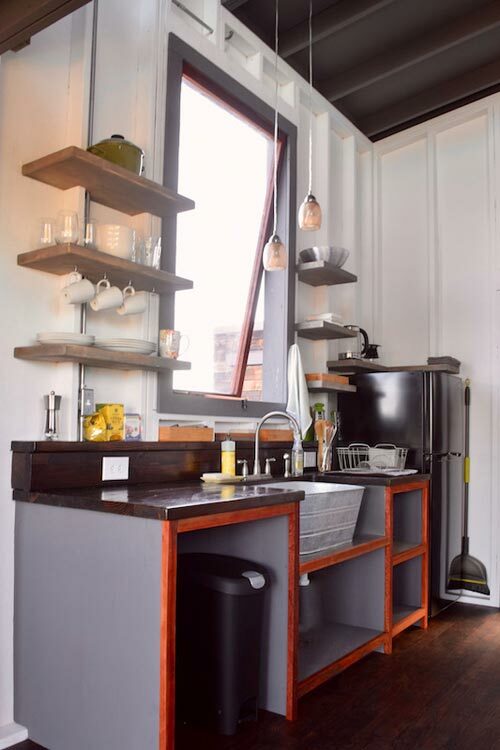 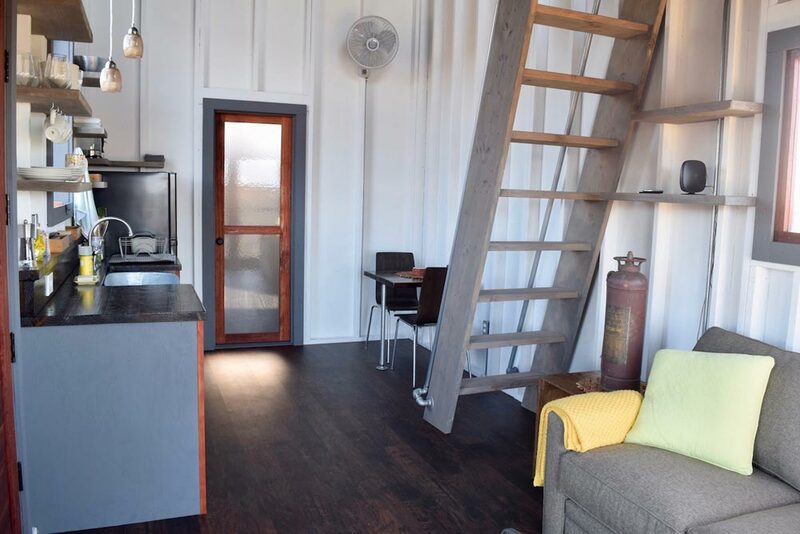 Inside the Phoenix House is a fully equipped kitchenette with utensils, drip coffee feature, small dinette table, propane stove top, and refrigerator. 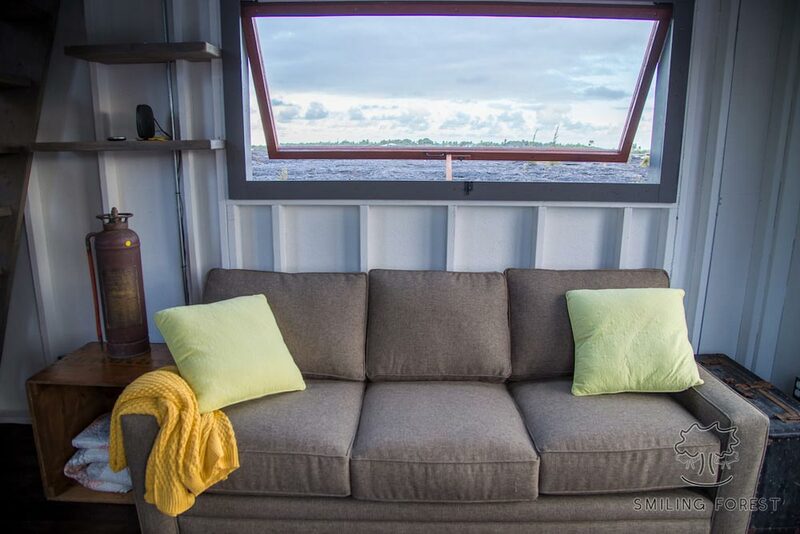 The living area has a couch and small desk in front of a large picture window, perfect for reflecting while reading or writing. 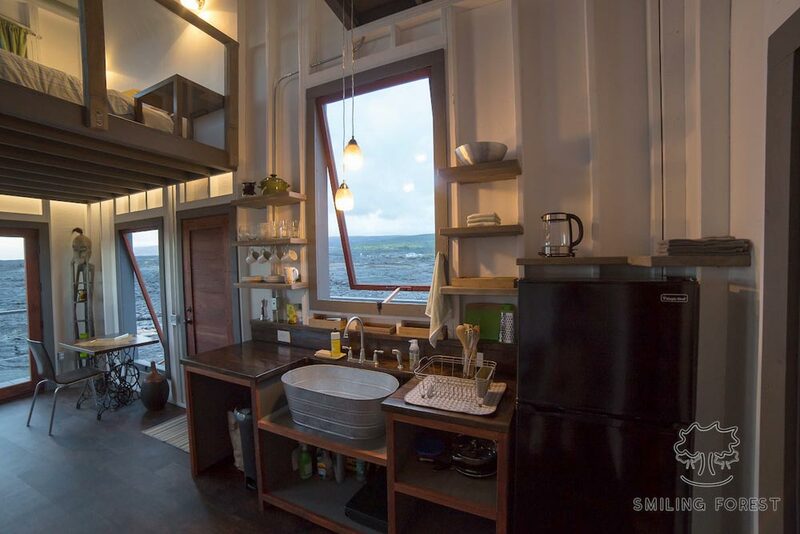 The bedroom loft has a queen size bed and big windows that offer an ocean view. 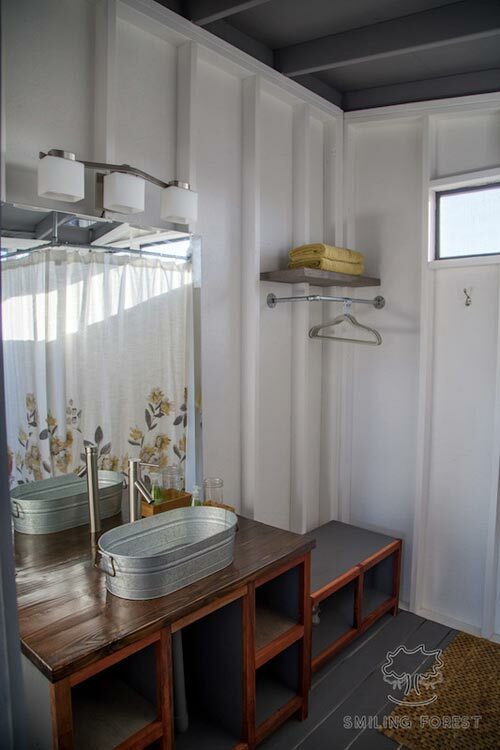 The bathroom consists of a shower, sink, and low flow flush toilet with plumbing to a cess pit. 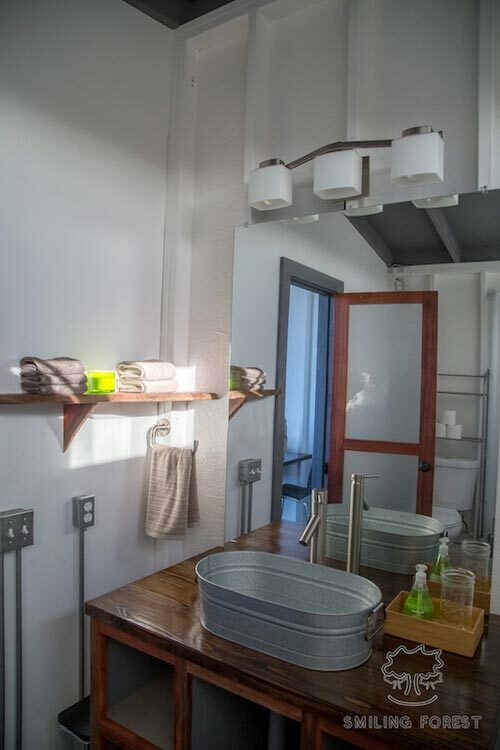 An on-demand water heater provides hot water to the shower and sinks. 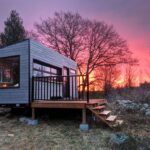 Nightly rentals start at $151 USD. 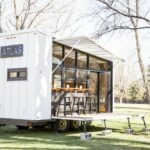 You can check pricing and availability through Airbnb. 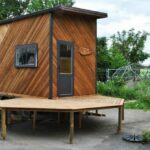 For more information about the tiny house and the build process, visit the ArtisTree website.